Get To Know Windows 10: Windows Continuum…What’s That? Welcome to yet another edition of our Get To Know Windows 10 series and for those who are new to the series, so far we have covered two topics: the new Start Menu, and Windows Hello. Now that we are only a week away from the official global release of Windows 10, the timing is rather right to discuss yet another new feature in the operating system called Windows Continuum. According to Dictionary.com, continuum means “a continuous extent, series, or whole,”. 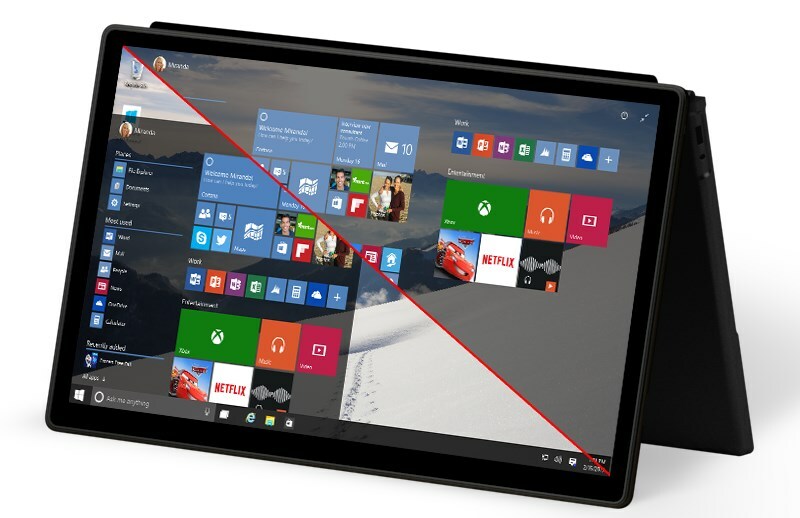 In the case of Windows Continuum, it is referred to this particular ability in Windows 10 that allows users to switch between two different types of interfaces within a single device. 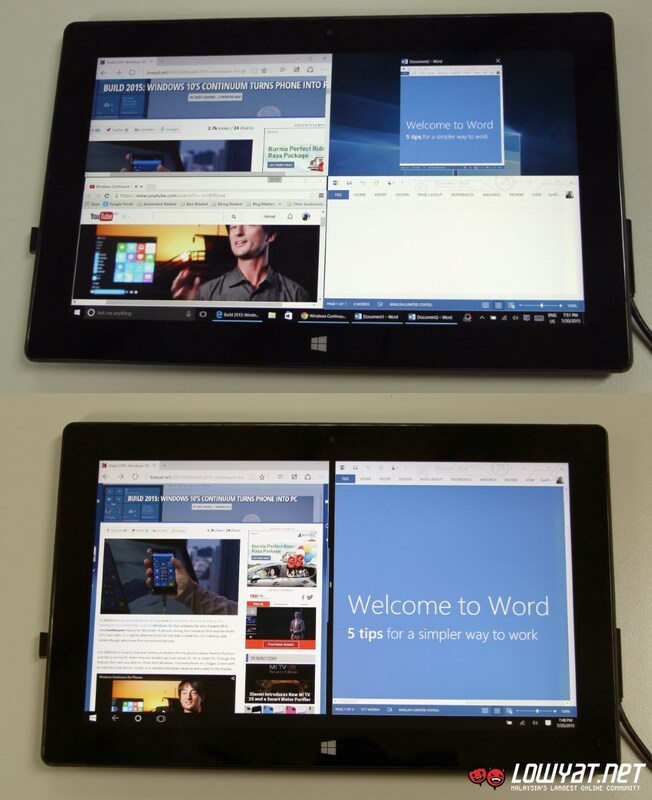 Standard desktop environment (top) vs. Tablet Mode in Windows 10 (bottom). There are two variants of Windows Continuum in Windows 10’s universe, with one of them is made for PC. The Windows Continuum for PC is mainly designed for 2-in-1 notebooks, since users are able to use such devices as either tablets or traditional notebooks. It is officially known as Tablet Mode which can be activated through Windows 10’s Action Center. 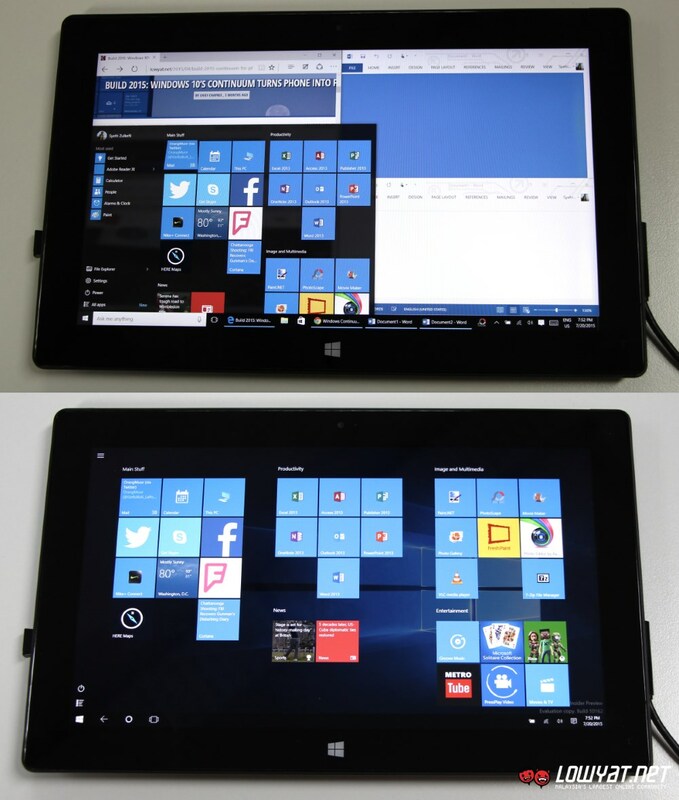 Once activated, the user interface of the device will then change from the standard desktop interface to touch-oriented interface which looks more like Windows 8.1. While the general look might be identical to Start Menu running on full screen (as per what we pointed in our first article), the difference between Tablet Mode and standard desktop environment is actually quite apparent. Corner Snap in standard desktop environment (top) vs. Snap in Tablet Mode on Windows 10 (bottom). One such difference is the way that each mode handles Snap, a feature that can be traced back from Windows 7 which allows users to easily align their apps next to each other. Inside the standard desktop environment, users will have access to a new Snap function called Corner Snap that allows users to align their apps into all of the four quadrants in their display. In Tablet Mode, it is limited to only two side-by-side apps – which is identical to the Snap View feature in Windows 8.1. The good thing is that this view will still remain when users switch to desktop mode…but not vice versa. At the same time, the new virtual desktop feature in Windows 10 is also not available on Tablet Mode as all apps are collectively presented in a single environment when the device is in Tablet Mode. Windows Continuum for Windows 10 Mobile. Meanwhile, there is also Windows Continuum for Phones which delivers an entirely different experience as compared to Windows Continuum for PC. 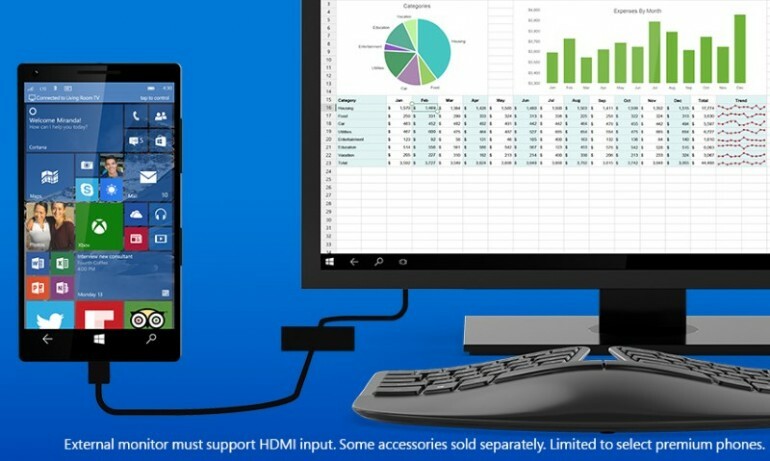 On phones, Windows Continuum allows users to have a PC-like experience when connected to a separate external display while still retaining the phone functionalities on its own display. By PC-like experience, we mean a separate user interface that looks almost identical to the desktop environment and made just for the external display that the phone is connected to. Not only that, Windows Apps on users’ phone will also be able to adapt to the bigger screen size on the external display – given that they are optimized for or compatible with Windows Continuum for Phones. Furthermore, users also have the option to use a keyboard and mouse to interact with the interface and apps on the external display. Alternatively, users can even utilize the phone itself as a touch pad which is made possible via Continuum’s controller app. As an example, one situation that can take advantage of Windows Continuum for Phones is during a presentation, where users are able to output their PowerPoint presentation to an external display or projector while controlling it and referring to notes separately on the phone. Unfortunately, Windows Continuum for Phones requires new hardware that will only be available on future phones that will be released after Windows 10 Mobile goes public – as pointed by Joe Belfiore, Corporate VP for Microsoft’s Operating Systems Group, in the video above. 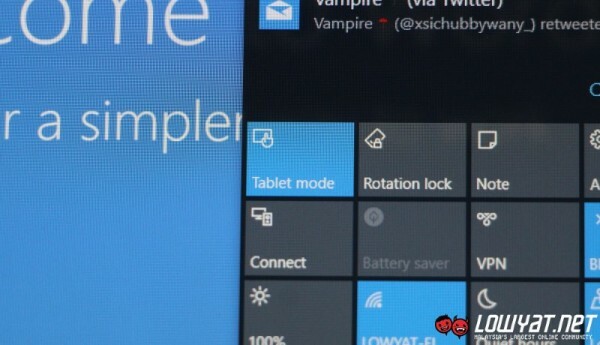 The Tablet Mode button on Windows 10 Action Center. Frankly speaking, Continuum is one of the coolest features in Windows 10. For the PC, it allows users to choose between a traditional desktop interface that everyone is familiar with or go for a touch-oriented interface that is meant for tablets and 2-in-1 PCs. On phones, it extends the ability of Windows 10 phones which could be the main attraction for users to consider getting their hands on such devices when they are released into the market in the not-so-distant future. Note: This article is based on Windows 10 Pro Insider Preview Build 10162, running on Microsoft Surface Pro 1. Windows Continuum for Phones is not yet available on Windows 10 Mobile Insider Preview. If you already installed Windows 10 Technical Preview into your PC, do test out the Tablet Mode on your device and let us know how your experience goes…who knows, you might able to win yourself a full Microsoft Surface 3 package! Alternatively, maybe you can tell us what kind of activities that you would like to seamlessly work on Windows 10 regardless of the device’s display size or form factor. 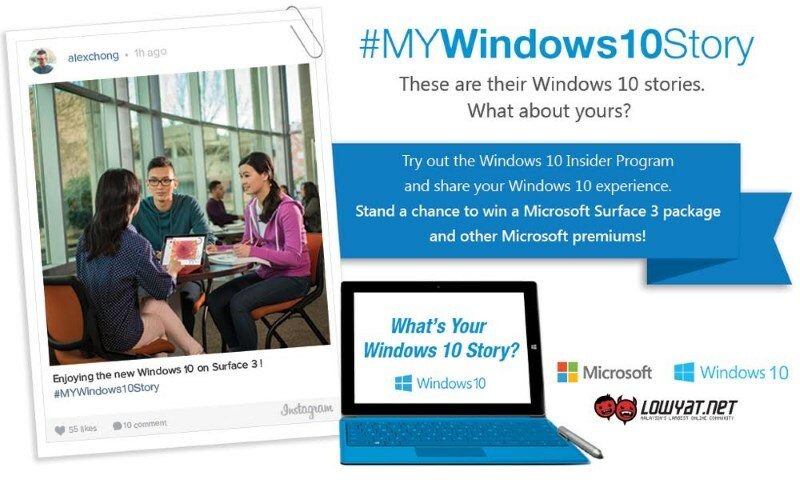 Learn more about this week’s theme for our #MYWindows10Story contest right here.